Player evaluations are conducted to balance teams and ensure players are playing in a level commensurate with their ability. The kids will be rusty, nervous, and anxious. This is not a tryout with the Toronto Blue Jays or New York Yankees. Please remind them of that, support your child, and be positive. Allows a player to be properly evaluated against their peers. Quantifies evaluation and streamlines varying opinions of evaluators (good, ok, great, bad) to a single number. It’s easier to explain and is harder to argue with numbers. Allows for opinions but from the same language. A comprehensive evaluation makes the difficult conversations easier to have. Everyone knows what to expect. Permits zone to properly communicate with players and their parents. Able to quickly and privately be shared with others. Provides coaches with the best insights. Registration fees must be paid in full BEFORE evaluations in order to be evaluated. 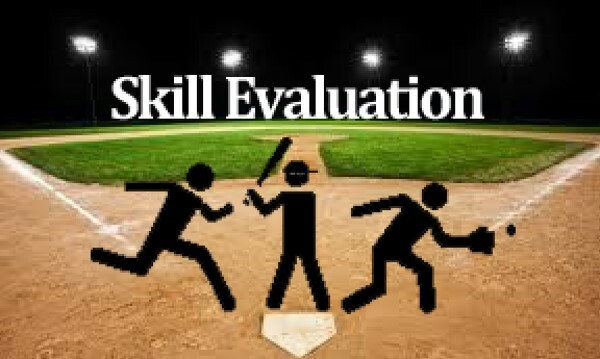 Baseball evaluations are limited to those divisions that have live (player pitch) pitching. Players are not permitted to wear previous years traveling team uniforms or any clothing with their name printed on it. Player must wear proper footwear, turf shoes or runners are acceptable. NO CLEATS AND NO OUTDOOR FOOTWEAR ALLOWED. Players must have their own glove. Players should bring their own bat/batting helmet, there will be limited equipment available. Parents are not allowed in the evaluation area during the evaluation process. Players will be assigned a number and will be required to wear this number throughout all evaluation sessions. All players requesting to play up a division must attend the evaluations – no exceptions.